NetApp NAJ-0801 24x 1.0TB TRAY CADDY & CONNECTOR 2x IOM3 NO HDD. We accept If we are unable to verify your order; your order may be cancelled. 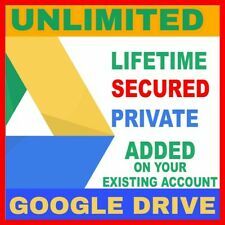 Applications that work with unlimited space Google Drive for Android and for iOS. Google Drive (web). Google Drive for KODI. Google Photos iOS, android, Mac, Windows: you can not use the Google Photos application, but you can upload photos with Google Drive iOS / android app. Model: MSA70. Hard Drives 25x 146GB 15K SAS. Build an array (if applicable). Manufacturer HP. Set up the BIOS. RAID Cards. Graphics Cards. Update the drivers. FRU: 00AR108. IBM Storwize V3700 Node Canister with Battery. Includes Node Canister Battery (fitted, internal). Node Code Version: 7.4.0.2. Dell, HP, IBM, NetApp, Cisco, Juniper, Brocade, and more. Commonwealth Bank. Model MD1200 Dell PowerVault MD1200 Direct Attached Storage DAS LFF. PowerVault / Storage. Once an order has been paid, we will test the server and apply any BIOS updates necessary. It is our goal to help you in every step of purchasing a server from us. 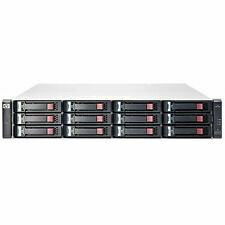 For sale is an HP D2220sb Storage Blade. These blades are tested and in perfect working condition. These have 12x 2.5" drive bay slots which take Gen8/Gen9 HP drives. The HP part number is 671668-001. SC220 24 Bay 2.5" Storage Chassis. Any problem with an item must be reported within warranty period. Graphics Cards. No Hard Drive Caddies Included. Cables, Cords & Adapters. FRU: 85Y5899. Dell, HP, IBM, NetApp, Cisco, Juniper, Brocade, and more. Account Number : 1001 2449. Bank BIC/Swift Code : CTBAAU2S. Account BSB : 064 050. Commonwealth Bank. HPE, Dell, IBM, SUN Servers. HPE Server Options. Systemax Technologies Pty Ltd is a trusted supplier of servers, options, storage and networking products, server racks, high end workstations and much more to organisations throughout Australia. 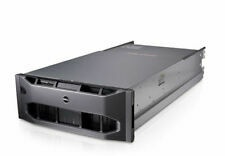 Dell Compellent Xyratex HB-1235 SAS6 JBOD / EXP SHELF. IOM: 2x HB-SBB2-E601-COMP SAS6. 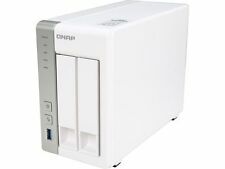 DISKS: 12x 3TB 7.2K SAS6 3.5" HDD. Dell, HP, IBM, NetApp, Cisco, Juniper, Brocade, and more. Bank BIC/Swift Code : CTBAAU2S. Netapp DS2246 Storage Expansion Array (14.4TB). 24x 600GB 10K 2.5" SAS Hard Drives Installed (X422A-R5). 2x Power Supplies. Dell PowerVault MD1200 12-Bay LFF Storage Array. Dell PowerVault MD1200. Twelve (12) Dell 2TB 7.2K SATA Hard Drive. Storage Arrays. Tape Drives. HPE, Dell, IBM, SUN Servers. HP, Dell Workstations. Systemax Technologies Pty Ltd is a trusted supplier of servers, options, storage and networking products, server racks, high end workstations and much more to organisations throughout Australia. UNIT: M6710 Drive Shelf - QR490. 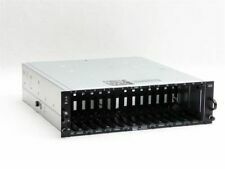 HPE 3PAR M6710 Drive Shelf with 20x 300GB 15K SAS HDD. HDD: 20x 300GB 15K SAS 2.5" - 697387. CTRL: 2x HP I/O SASQUATCH - QR491-04400. Dell, HP, IBM, NetApp, Cisco, Juniper, Brocade, and more. DP/N: 73W54 or 61NCV. (sample of test data listed below). C2F Power Module Load Test Data. C2F Power Module Volts Info Req sent. C2F Power Module Ctrl Reg: 0xf7. Dell, HP, IBM, NetApp, Cisco, Juniper, Brocade, and more. EMC VNX5300 Data Mover VNX5300DM. EMC Data Mover for VNX5300. EMC P/N: 100-520-127. Bank BIC/Swift Code : CTBAAU2S. Account Number : 1001 2449. Account BSB : 064 050. Commonwealth Bank. DELL POWERVAULT MD1200 12x 4TB Hitachi Enterprise SAS Hard DRIVES. Perfect Expansion/Jbod forDell Servers(and others makes as HP/Supermicro) such as R710, R610, R620, R630, R510, R410, R720,R730 2950, etc(Not to attached to a MD3200i or other dell MD storage arrays. ). Our technicians specialize in Dell models ensuring that your unit will arrive on your doorstep with quality components and performing at optimal efficiency. Model: MD3000. SAN Storage. Build an array (if applicable). 48GB Ram (12x 4GB PC3-8500). Netapp PN: 111-01154 [and] 111-01153. Dell, HP, IBM, NetApp, Cisco, Juniper, Brocade, and more. 2x E5540 CPU's. 4x 10G-SW-SFP Transceivers. Bank BIC/Swift Code : CTBAAU2S. Enterprise IT Products. Vibrant Technologies focuses on Enterprise IT Hardware sales. Substitute Part Numbers. 1x SAS Dual Bus I/O Module - P/N: 399049-001. Asset recovery and recycling services. No cables or other accessories are included except what is pictured. NO HARD DRIVES INCLUDED. Point of Sale (POS). Model MD1200 Dell PowerVault MD1200 Direct Attached Storage DAS LFF. Hard Drives 12 12x 3TB 3.5" SATA 7.2k Hard Drives / 12 Caddies. PowerVault / Storage. Power Cords 2 Power Cord, Black, NEMA 5-15P To C13, 18WG, 6 Foot.